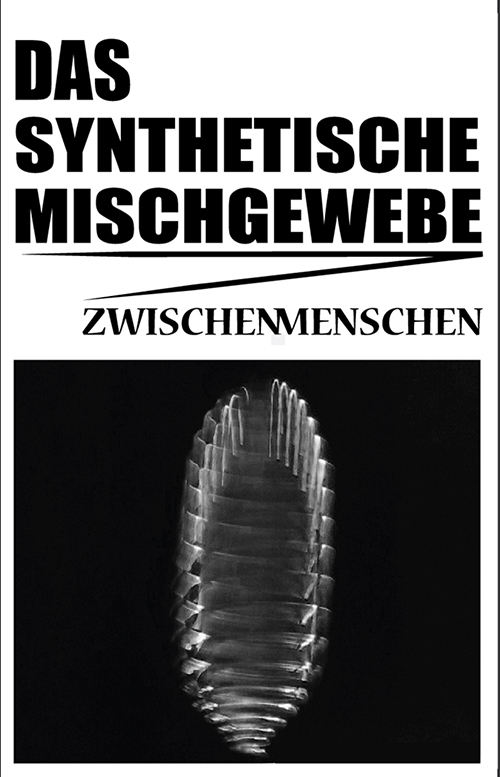 Das Synthetische Mischgewebe (AKA DSM), founded by Guido Huebner in the early 80’s, in Berlin. All these years DSM They worked in many different forms of artistic expressions using custom made instruments, primitive / hacked electronics, mixed with media. They inspired from the rise of the cassette culture movement and the sound of industrial and avant-garde music of that period, creating sounds from complex sound installations. Zwischenmenschen is a sound montage of Guido Huebner’s latest live shows, from various places in Europe. A live recording is like examining a different body. One is aware about all possible sensorial impressions it is able of, its fluctuating intersection inside space and with others and the consciousness by which means it pierces through time; all types of similitude’s to one’s own being and still it is but a supposed approximation we won’t ever completely share. We may sense the same things and give the same names to them and still, we are not occupying the same space and are at best just a shadow of the other that has gained some weight to look a little less deep dark. Similitudes are negotiated compromises in an intangible juxtaposition, more often than not rather the sign of something than the real thing. But it is, at these very points of intersection that the speculative me in the other can surface and shine, on display for a instant, in a new light and can grow beyond the evident, which is to grip at each other and choke any possible emergence back into the dimness of the annulled breach. Celebrating fidelity inside its realm from which nothing original will rise. There is an index on the eject button, while mine sticks in my ears. This is a fictive, as said; speculative Mix made of recordings of concerts in Germany in 2018 and selected home recordings from prior rehearsals and tests done in Rennes and Berlin. Besides dynamic processing and equalisation the recordings used have been mixed together unaltered. DSM uses self build, mechanic, motor driven assemblages, mixing desks, piezo- and other type of microphones and pick-ups and uses Equalisation pedals to balance Jack and XLR inputs to an equal signal level. In the comfort of the domestic recording situation the constraints of the live settings and its recording convert into a compositional guide line as the microphone position never is the one shared by neither artists nor public, nor does the stereo reproduction converts the individual experience of all listeners. The recording device always occupies a phantom position no ear has actually shared, but the result nevertheless represents the only remaining (ear) witness. This, hence is a re-enacting as what is up front, or in the background, left or right on the recording hasn’t necessarily been this way in the actual setting, the same is true for dynamics and the perception of time or rather duration. In short, this is a live recording and it is not.